Initial referrals for Area Agency on Aging in home services are received by the OPTIONS department. A Care Manager will meet with the consumer and family when appropriate; to complete a comprehensive needs assessment. Care Managers will then develop a written plan of care that identifies all service appropriate for the consumer. Services are arranged and coordinated with on-going Care Management. Adult Day Services: Individuals age 60 and over, in need of supervision in a structured setting can receive a program of specialized activities. Adult daily living centers provide therapy, recreation, light breakfast, hot lunch and support families who work or for other reasons cannot provide around the clock care for dependent adults. Legal services: A one-time Legal Consultation is available to eligible consumers. Legal education is also provided at all Senior Action Centers. Meals on Wheels/Home Delivered Meals/MOM’s meals: This service provides meals for homebound older Adults who cannot cook for themselves nor have someone who is able to prepare a meal for them. Meals on Wheels provides a consumer one hot meal 5 days per week (Monday through Friday) - they are available through Northumberland County Area Agency on Aging in Shamokin and Mount Carmel only. Home Delivered Meals and MOM’s meals are 7 cold pack meals delivered to a consumers home one day per week. These meals are available anywhere in Northumberland County and can easily be reheated for a hot nutritious meal. 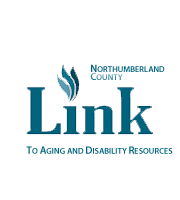 Private Pay meals are available in certain areas of Northumberland County- please contact our office for additional information and locations. Personal Care: Provides hands on assistance with personal care tasks such as bathing, dressing, grooming, skin care and other activities of daily living. Personal care aides are able to assist a consumer with light housekeeping, laundry, shopping and errands as time allows only after the completion of hands on personal care. The specific amount of time, number of days and duties to be completed are determined by the Care Manager at the time of the initial assessment. Medication set-up: This service provides bi-weekly medication set-up. A consumer must be unable to manage their own medications, have someone to complete the medication set-up for them or have pharmacies that will not set-up medications in a daily bubble pack. It is important to note medications are set- up in pill boxes for two weeks at a time; this service does not include daily verbal reminders or administration of medications. Options Cost Share: Services provided through the OPTIONS program are subject to a mandatory cost share. To determine a consumer’s cost share amount a standard sliding scale is used based on 125% to 300% of the Federal Poverty Level. A consumer and spouse must provide full financial disclosure at the time of initial assessment as well as at each re-evaluation.